Tim Wu: How Silicon Valley lost its soul. And how it can (maybe) get it back. Tim Wu How Silicon Valley lost its soul. And how it can (maybe) get it back. The tech world needs to take a hard look at what it has become, and in particular what its business models have come to demand of it. Once upon a time, as recently as the 2000s, it seemed that the tech industry and Silicon Valley could do no harm. They were the new forces of good, the movement that was giving the masses their say and challenging the old guard. The web, meanwhile, was a fun, folksy place, full of people doing their thing, whatever that was. Today, at the risk of stating the obvious, the honeymoon is over. Whether its Facebook’s horrific privacy violations, the excesses of Uber’s bro culture, or concerns about Amazon’s labor practices, Silicon Valley’s reckoning is well underway. So just where did tech go wrong? And can it get its idealism back? Let’s return, for a moment, to the old days, and in particular to Google, the firm that sat at the epicenter of a movement that positioned private tech as a force for good in the universe. In the early days Google’s business model was presented as not unlike a charity: it was simply giving away the world’s best search and email services for free — with maps as a bonus. Its campus was purposely designed to look like a university, not a corporation; there was even special parking for expecting mothers. And echoing this philosophy, everything on the campus was free to employees, like those tasty but expensive fruit smoothies. It was all enticing enough that a generation of do-gooders flocked to the tech industry — either to Google, or other tech firms that were promising to help people, like Facebook, 4Square, Etsy or Kickstarter. Idealists who might have once gone to government or non-profits were instead finding jobs in the tech world, enjoying a better salary (not to mention all that free food), while still making the world a better place. This suited a generation that hates making hard choices. The message was clear: Go to tech, young man (or woman), the fabled land where you can both do good and make good money. What a difference a decade makes. Things first began going sideways when it became clearer what “free” really meant for firms like Google and Facebook. It meant that as opposed to “putting users first,” the users were actually the product. The firms quickly began to face constant pressure to mine as much time and data from their subjects, necessitating constant product degradations designed to show more ads and addictive technologies designed to keep people coming back. We let big tech off the hook. Now it's time to break them up. Meanwhile, much of the exciting new media was being eaten for lunch by Buzzfeed-like content generators. As the internet became a frantic search for clicks, television suddenly look dignified in comparison. Later, some of the blind-spots of a nearly all-male culture began to show at places like Uber. But throughout the industry blossomed a toxic culture of constant one-upmanship and predatory expansion. So just what happened to the old idealism? Some might say that the whole thing was always just a sham, that Silicon Valley has always only cared about money and power, and the idealism was mostly PR. Maybe this is true, but I don’t think that quite gets at the original sin. 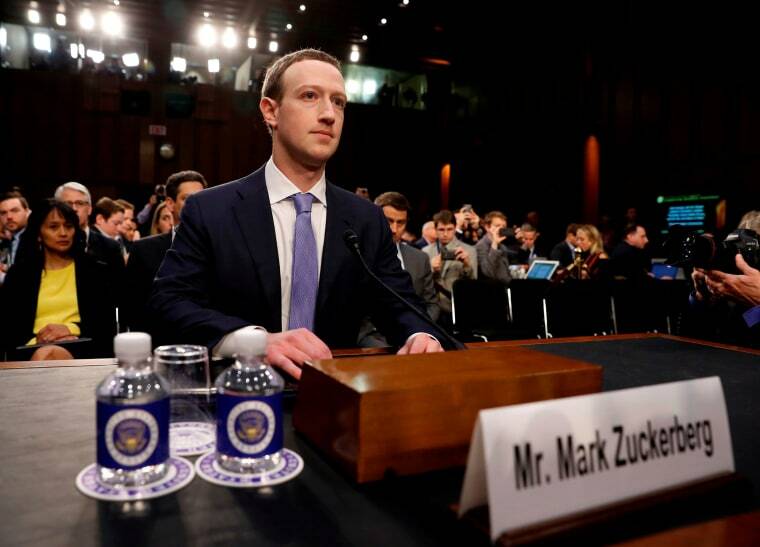 Instead, I think the problem was less a matter of deliberate evil (well, with the possible exception of Mark Zuckerberg) so much as it was a refusal to make hard choices, and a stubborn desire to have the cake and eat it too. In short, tech thought it was special and therefore immune to the usual forces that rule the universe. But then the universe caught up. To take another example it was tech’s stubborn self-exceptionalism that also got it into trouble with fake news. Google and Facebook thought they could get into the distribution of journalism, without taking on the ethical duties or responsibilities of a media organization. Hey, they were just a tech company, after all, a simple “platform. This, predictably, led to the easy proliferation of lies online, as well as the worse problem of Facebook, Google and Twitter being used as a tool of propaganda by foreign governments. Suddenly, instead of doing good, tech was a potential threat to democracy. Being truly different doesn’t happen by just saying you’re going to try — it requires institutions designed the right way. So can tech rediscover its ethical compass? In 2013, New York Magazine wrote a piece lightly mocking Jimmy Wales, the founder of Wikipedia, for having failed to become a billionaire. And yet today, Wales lives a happy and comfortable life and can actually be proud of his creation, which has no fake news problem, cannot be accused of posing a threat to electoral democracy and truly has made the world better informed, not just more distracted. I point this out to say that if tech is to get its idealism back, it will take more than a few nips and tucks. It needs to take a hard look at what it has become, and in particular what its business models have come to demand of it. Tim Wu is an American lawyer, professor at Columbia Law School and contributing opinion writer for the New York Times. He is the author of several books, including "The Master Switch" and "The Attention Merchants." His new book, "The Curse of Bigness," comes out in November of 2018. To learn more about Wu's research and the making — and breaking — of the internet, listen to his conversation with Chris Hayes on a new episode of Why Is This Happening?